The way kids have fun these days are nothing like it was in our day. Children have to know more, and learn more everyday with the fast advancing technology these days. This includes keeping up with the latest apps, and games out there. While we may have gotten a hold of a touch screen and cool apps much later in our lives, children are born with the latest tech at their fingertips. 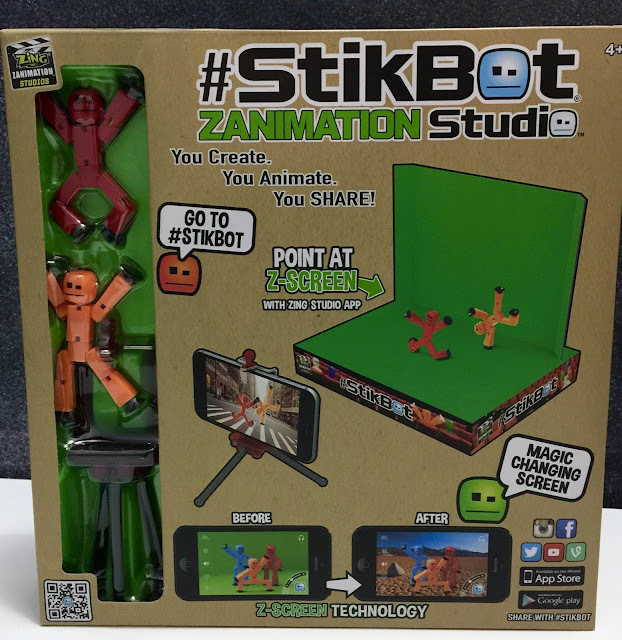 Having fun animating the old fashioned way, drawing at the edge of your notebook and going through the pages quickly to see your stick figure move is always fun..but the StikBot allows for children to do it in the more modern, up-to-date way. 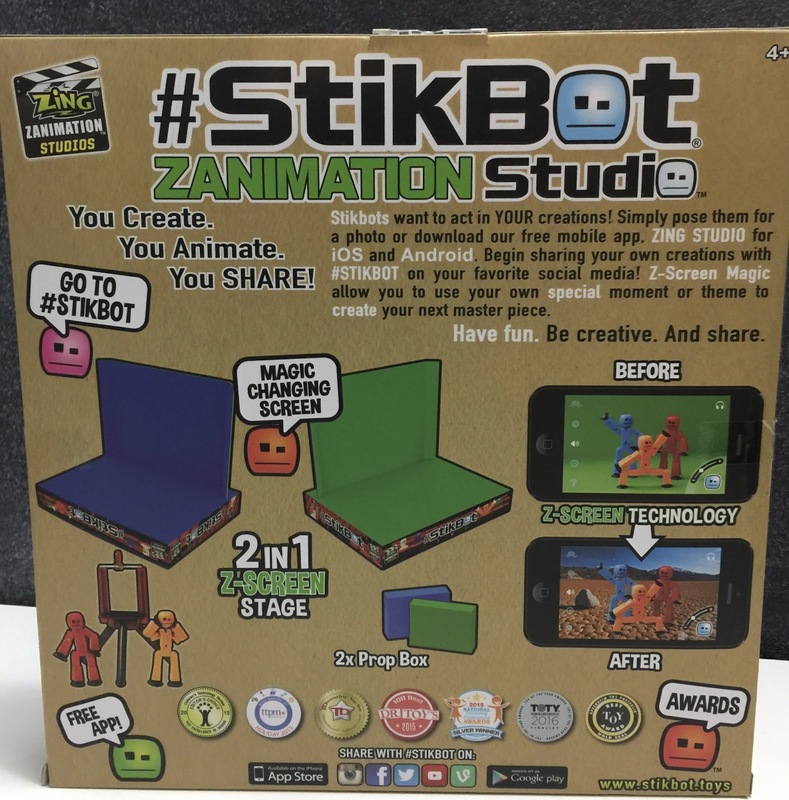 Children can create, animate and share their videos with the StikBot ZANIMATION Studio. StikBot allows children to create stop-motion animations with the StikBots that stick on to surfaces allowing for many different fun poses. The Studio comes with everything you need to really get creative and have a great production in the end. 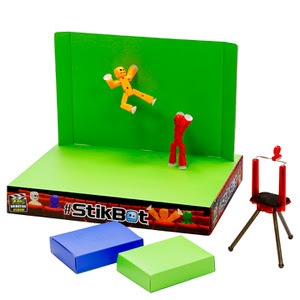 The kit includes a green screen studio, and works with the Zing Animation app. Check out the possibilities with StikBot! The StikBots can be purchased on it's own and children can use their own backgrounds as well. They can also collect more characters to use in the animated creation. Characters can be purchased on their own as well as, in action packs where accessories are even included. The StikBot toys are geared for ages 4 and up as it is easy to use, and you're never too young to start creating. My 8 year old has been loving StikBot for a while now, and with my daughter who is finally old enough to participate the animated movies are nonstop. Posing, and creating with StikBots are so much fun for all ages. Work with your young children to create together, and for older kids, challenge them to write a story with sketches then allow them to have it come alive.